This is a die-cut Dixie Oils Gasoline porcelain sign. This particular Dixie Oils Gasoline sign is predominantly blue and yellow with blue and white text. 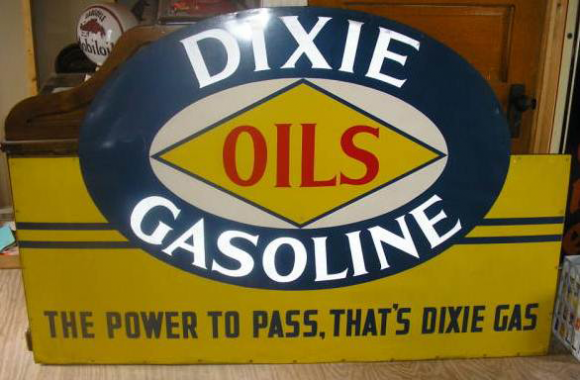 It reads, “Dixie Oils Gasoline, The Power to Pass, That’s Dixie Gas” and features a yellow diamond inside of a blue oval at the top of the sign.